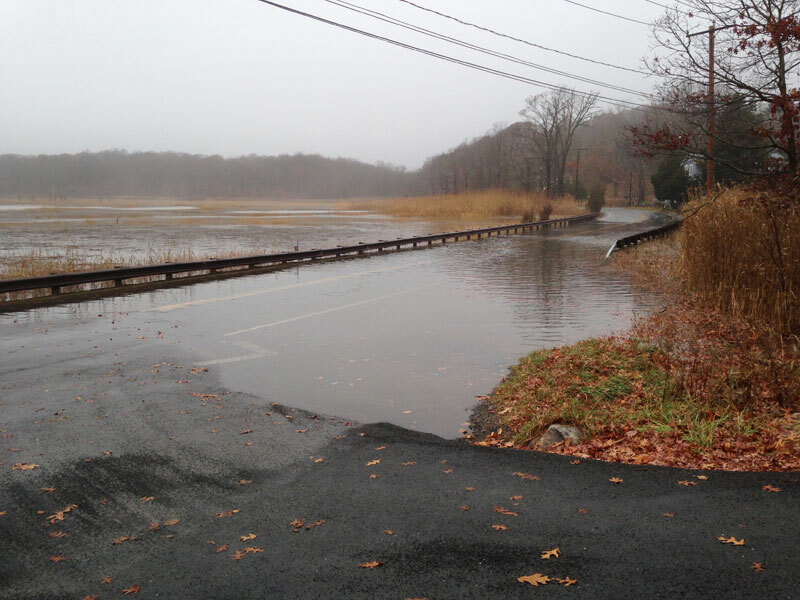 Join the Branford Land Trust for its April lecture, Sea-level Rise: Implications for Our Coastal Wetlands, on Wednesday, April 22 at 7:00 p.m. Rising seas, caused in large part by climate change, pose both a threat and an opportunity for coastal wetlands. Shimon Anisfeld, a Yale School of Forestry and Environmental Studies Research Scientist and Senior Lecturer, will discuss our current understanding of the history and future of sea-level rise, and how salt marshes respond to this phenomenon. He will also review his research on marsh migration into uplands in Long Island Sound, a process that may allow marshes to survive even as the seaward edges of marshes are being submerged. The event is free and open to the public, and will be held at the Blackstone Memorial Library, 758 Main St, Branford. For more information, please call Martha Rice at 203-314-7128. PHOTO: Coastal flooding after a November Storm, Leetes Island Road in Branford. Photo courtesy of the Branford Land Trust.